While we can all appreciate a good ol’ Prom Sway, know you can and should do better than that (your wedding guests expect more) for your first dance! The great news is that we’re 100% certified in “Crafting First Dances that Are Enjoyable to Watch,” so you’re in good hands. We offer three types of wedding lessons so that every couple has an option that works for them. Find the best fit for you! Check out First Dance FAQ for more guidance. For couples who have more than 8 weeks before their wedding, we offer a Complimentary Wedding Consultation. If you have less time, you should get started with a First Lesson right away! Wedding dance lessons are 1 hour long (45 minutes with an instructor and 15 minutes of practice at the end). 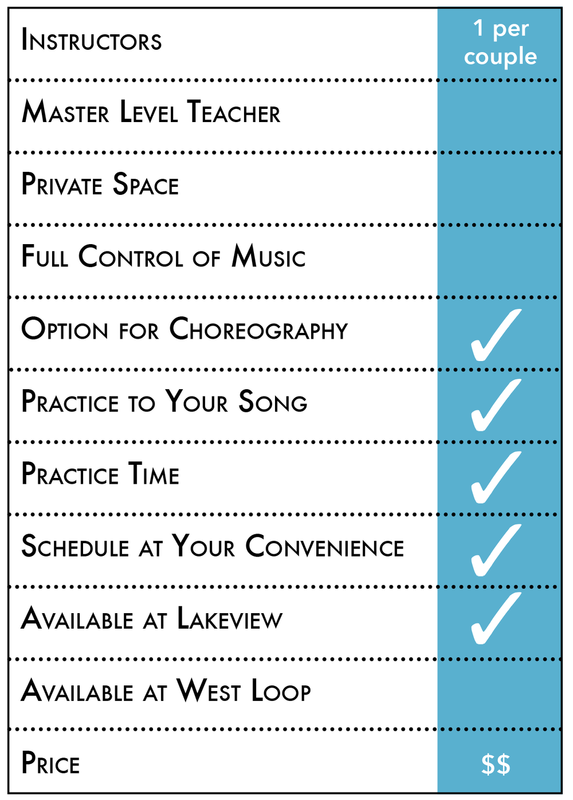 All private lesson options are tailored to your goals for your first dance. Group lessons are taught to the group and are not focused on individual couples. Rates for Private Lessons range from $90 - $125 per lesson depending on the number of lessons purchased at a time. Rates for Completely Private Lesson range between $120 - $155 per lesson. 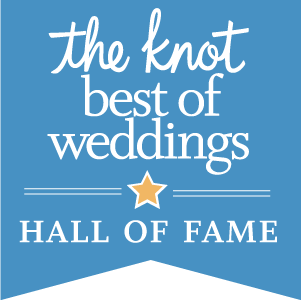 Wedding group classes are $240/couple for each 4 week session. Have more questions? Check out our wedding dance lesson FAQ. Running short on time? We recommend signing up for Accelerated Wedding Lessons.